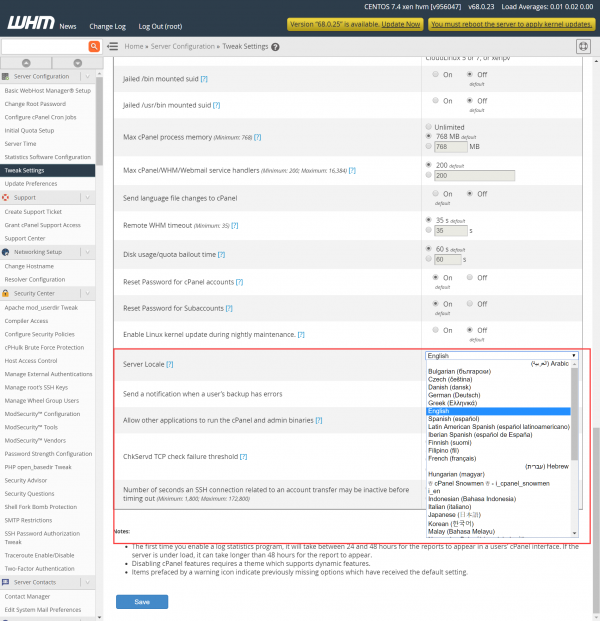 If you wish to change the display language of your WHM administration portal, use the following steps. 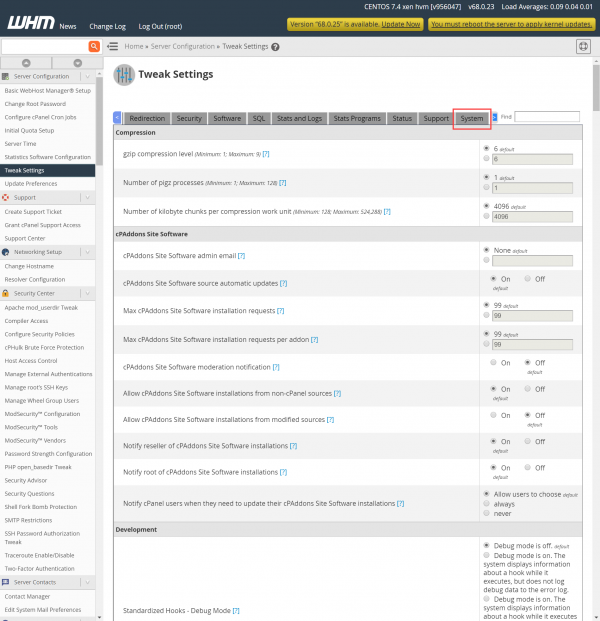 Log in to WHM and under Server Configuration, select Tweak Settings. In the Tweak Settings page, select the System tab. Scroll down to Server Locale and use the dropdown menu to select a new language. 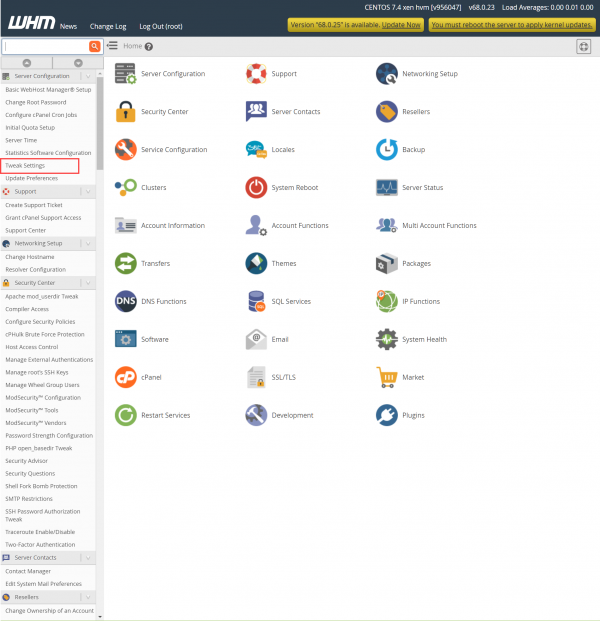 Click the Save button at the bottom of the page to complete configuration.